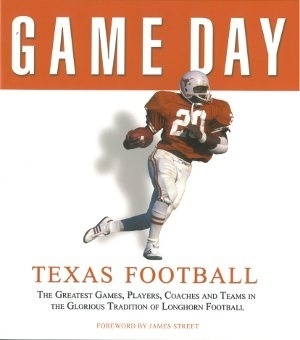 Below is a list of books and links used to research the history of Longhorn Sports. Many of the books listed can be purchased at the COOP or other fine book stores. - Copyright 2011 by Gary Brackett-Distributed by Publishers Group West. Thanks for your interest in our services, and I hope you'll let others know about our services and our website. "Making Sense of the Complex NCAA, NAIA, and NJCAA Rules"
Copy right 2013 by Ross Lucksinger- Afterwords copyrights 2013 by Sally Lucksinger, Nan Manning, Bill Robertson, John Robertson, and Robby Robertson. Edited by Jon Lucksinger and Annette Lucksinger. Designed by Will Gallagher. ISBN- 978-1492214922. Doubleday & Company, Inc. Garden City, New York- Library of Congress catalog csard number 64-18813- copyright 1964 by Kern Tips. Printed in the United States of America - First edition. LeCompte. 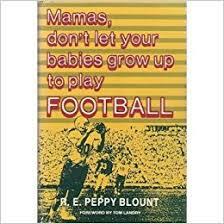 Mary Lou, "The History of Physical Education in Texas:and Analysis of the Role of D.K. Brace," Ph.D. dissertation, University of Southern California, 1967. This study chronicles the organizational evolution of women's competitive sport at The University of Texas at Austin from 1918 to 1992. This history is examined from a theoretical framework focused on the organizational values of key female administrators and explores the basis and development of those values. Two factors are revealed to have had high influence on the organizational values of these leaders: their level of involvement in and commitment to national governing bodies of women's sport, and national ideologies about sports for women. In addition, this study explores how the gendered power struggles for control of women's college sport played out at one nationally prominent university and provides fresh insights into the extent and manner in which female administrators were able to maintain control of women's sport and shape it in line with their ideals, even after they lost the national battle for control in the early 1980s. This history fills an important gap in women's collegiate sport history as it reveals that UT has consistently been at the forefront of providing athletic opportunities to women throughout the twentieth century, first under the leadership of Anna Hiss and then Donna Lopiano. link is below. There are a few good oral history sports links on this site. Once on the site search for Sports, Athletics, and or oral history. Some of the information on the TLSN website is from the Stark Center Archives. The official site for UT Athletics . All Longhorn fans need to visit this site. It is the official site for UT-Austin sports. The journey thru UT-Austin Texas Sports history is made possible by the works of the authors listed below. Each of the following books stands on its on merits, but all the books combined create a synergistic and compelling story about Longhorn sports history. Books covering a specific game of any sport risk being too absorbed in the details of the game and lose the audience in a “cloud of dust” or the minutiae of the biographies of the player’s lives and emotions. Terry Frei’s Hogs, Horns, & Nixon Coming attempts to overcome these all too common short comings by wrapping the details of what many at the time have called “The Game of the Century” in the politics of Nixon and the Vietnam War. Included in the narrative are special guest appearances by George H. W. Bush and Bill Clinton. It certainly goes without saying that this book is well researched and fact filled. Frei has done his homework on both teams and draws the emotion out of the coaches and players that participated. Multiple player and coach interviews give insights into the emotions and planning for a critical game that most casual fans of college football fans are not aware of and do not appreciate. In his attempt to set a context for the game, some of the political and racial complexities of the era are also included. Most of these are set in Fayetteville, Arkansas, where the game is played and unlikely heroes, such as band director Richard Worthington makes a critical program change that tamps down the potential for the outbreak of racial violence during the game. Bill Clinton’s attempt to leverage his academic success in college into a draft deferment is part of the history of the times as well. It is fitting to review this book at this particular time, 2018. The 50th anniversary of the game and Texas’ second National Championship is only a year away. 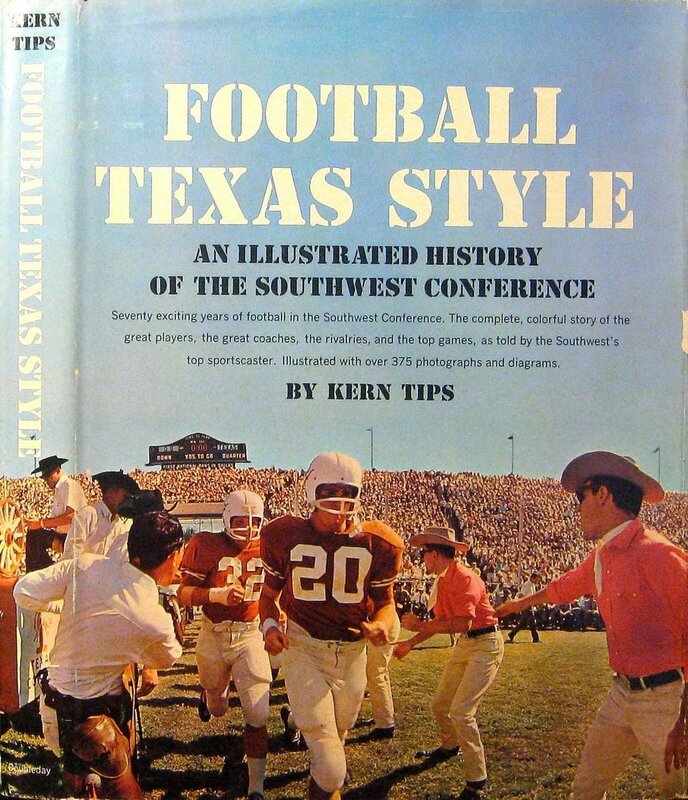 The ability to obtain such rich and detailed interviews that make this book such a compelling read are slipping away as members of both teams (from Texas Freddie Steinmark and Danny Lester shortly after the game) and others (again, from Texas James Street, Greg Ploetz, Darrell Royal more recently) pass away. At the end of the book Frei provides a list of sources and interviews for his book as well as a “where are they now” chapter that wraps up the book in a satisfying manner for the reader. Hogs, Horns, & Nixon Coming gives a 360-degree view of what was one of the most exciting games of the first 100 years of college football. a Copyright 2018 Richard Brimer. All Rights Reserved. 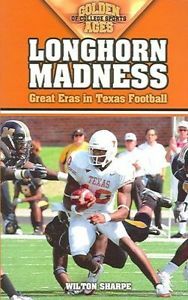 Longhorn Nation is a quick and entertaining introduction to University of Texas Football from a player’s perspective. It covers a tremendous amount of territory from 1930s to the 2005 National Championship. Sandwiched in the accounts are transitions from one Coach to another, from war to peace, from I-formation to the Wishbone. All of these events are told by the people (players) who were in the middle of them. There are not two people better qualified to pull this type of book together than Bill and Jenna. 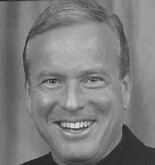 Bill is a longtime member of the Staff of the University of Texas Athletics Department. Jenna is an ex-University Texas Cheerleader, an author of several books on University of Texas athletics and wife of an ex-University of Texas Quarterback, Randy McEachern. What I find most interesting in this book are the hidden gems of information, the ways the game has changed over the years. For example, in the early years, there were no scholarship limits on schools such as UT where now there are strict limits. As players recount their experiences you can trace how these policy changes impacted the recruiting process and how they made their decisions to join the Longhorns. Competition for specific recruits could be intense. In some cases recruits had made up their minds when they were six years old. Others made their final decision literally in the final days. Coaches (high school and college), parents, girl friends, high school teammates, alumni, academics, Austin culture, all played a role in the final decision. Indeed, the final decision was as much of a surprise to the player was it was to the recruiter or his parents. 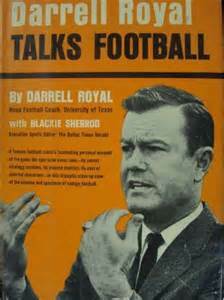 The introductions by Darrell Royal and Mack Brown were particularly insightful and in some cases hilarious. Mack Brown quoted Coach Royal as telling him when he first came to campus “I’m too old for a regular job, but I’ll help you where I can”. Being recently retired I certainly can identify with that perspective. I found Earl Campbell’s story the funniest and in a way the most genuine. Specifically he was truly flabbergasted by the entire recruiting process and hoopla surrounding him, the team, and the Heisman Trophy process. Not surprisingly what stands out in the stories told over the decades is the loyalty players have to specific Coaches (especially the ones who recruited them), Coach Royal in particular, and the influence Coaches have in their lives (for example Coach Brown). Other members of the staff also had a profound impact on players, trainers, equipment managers, and one stand out person, Sally Brown, Coach Brown’s wife. It goes without saying that many of the players interviewed for this book have formed long, lasting relationships that have lasted years and in some cases decades based on deep, shared experiences. You truly have to read this book to understand, as a non-player, the depth of the feelings players have for each other and their experiences. As one might expect of a book of this type it is focused primarily on the positive experiences the players had during their time at the University. Some players had the opportunity to be critical of their experience or the University, but largely they were able to place their feelings in the context of what they were able to build on from their time at the University to improve their lives and those around them. A hobby of mine is collecting autographs of University of Texas players. Many times I have had an opportunity to speak with players on their experiences at the University. 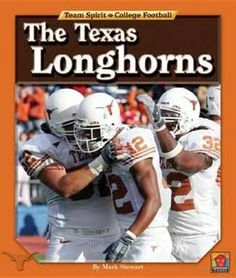 In those discussions, sometimes brief and at times long and detailed I have found each player to be genuine, kind, thoughtful, and proud of their experience as a Longhorn, just as this book shows. The full collection of the "Cactus" is at the Dolph Briscoe Center for American History. Please visit the center for a wealth of history about Longhorn Sports. Richardson, Steve. Tales form the Texas Longhorns cover design by Joseph T. Brumleve. Sports Publishing L.L.C. 804 N. Neil Street Champaign, Il 61820 Copy right 2005 ISBN 1-59670-047-5. Publisher : Peter L. Bannon and Joseph J. Bannon Sr.
Texas Longhorn Trivia Challenge- Published by SourceBooks, Inc Naperville, Illinois. Copy rigth 2008. Cover image copy right AP images. Schoor, Gene, 100 YEARS OF TEXAS FOOTBALL, Taylor Publishing Company- 1550 West Mockingbird Lane, Dallas, Tx. 75235 Cover Design by Rick Carnes and Cover photograph by Layne Murdoch. Please visit the University of Texas Center for American History, UT Sports Information, Southwest Conference Office, Austin History Center, Texas Sports Hall of Fame, UT CAH, and Texas Sports Photography to capture the essence of Longhorn sports history. With Wheat, John COACH ROYAL Darrell Royal Publisher ????? 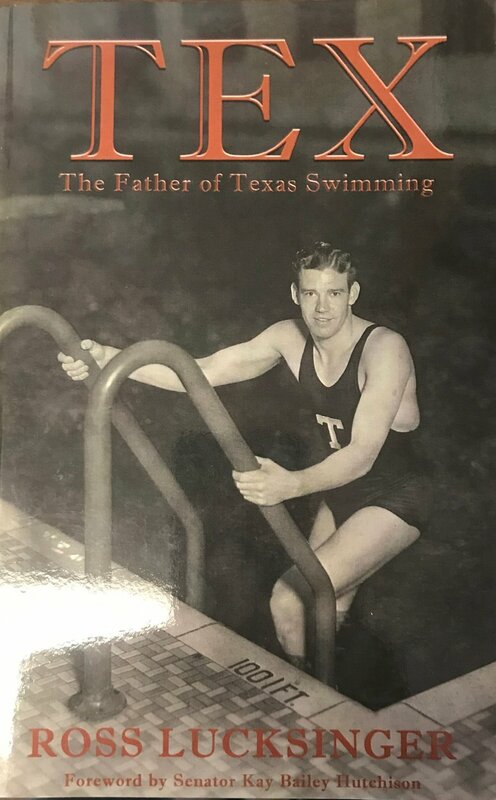 What It Means To Be A Longhorn- Edited by Bill Little and Jenna McEachern with Darrell Royal and Mack Brown Publisher ????? Jenna Hays McEachern grew up in the world of football. She is the daughter of a successful Texas high school football coach, and both of her brothers played on his teams while she cheered from the sidelines. She’s been a Longhorn fan since she was nine years old and made her first pilgrimage to Austin. Jenna studied photojournalism at The University of Texas, and also majored in being a UT cheerleader. She worked for Jones Ramsey and Bill Little as editor and go-fer in the Sports Information Department, and later edited “One Heartbeat – A Philosophy of Teamwork, Life and Leadership” and for “One Heartbeat II – The Road to the National Championship”, both written by Mack Brown and Bill Little. Little and McEachern collaborated on “What It Means to be a Longhorn”, a collection of oral histories of some of Texas’ greatest players. 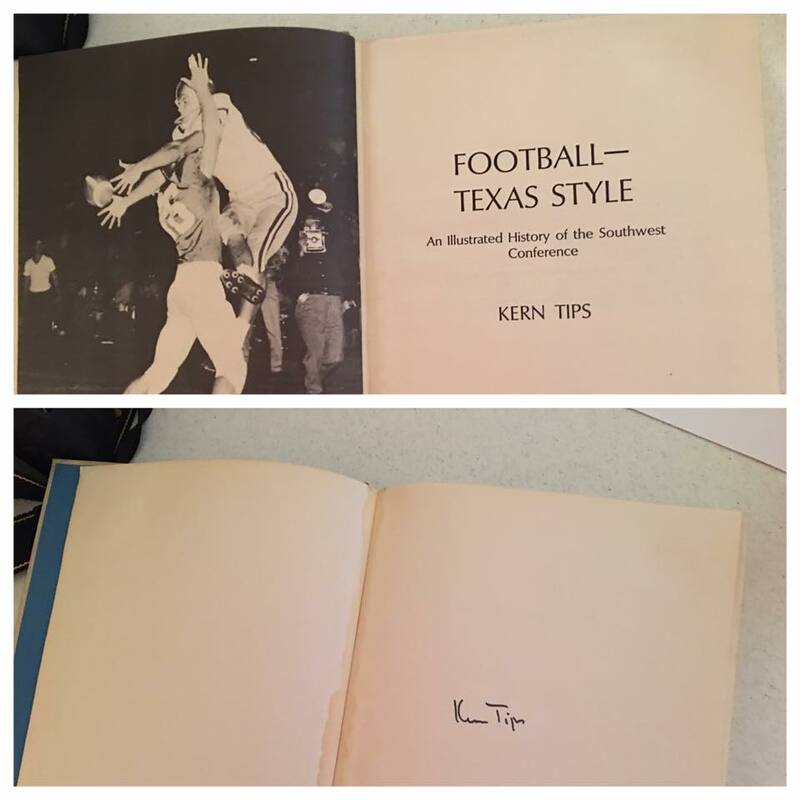 Her second effort, “100 Things Longhorns Should Know and Do Before They Die” was published by Triumph Books in 2008. “DKR: The Royal Scrapbook”, by McEachern and Edith Royal, was published by University of Texas Press in August 2012. McEachern was named one of 125 "Extraordinary Exes" during the Ex-Students' Association's 125th Anniversary. She is married to former Longhorn quarterback Randy McEachern. They still live in Austin, where they reared three near-flawless children – Bailey, Hays, and Lester Simmons. McEachern, Jenna Hays with Edith Royal. DKR The Royal Scrapbook University of Texas Press- Austin, Tx.- Front Cover courtesy Athletics Department University of Oklahoma. Book Designed by Derek George. Front flap courtesy University of Texas Sports Photography Department, and the back flap courtesy Royal Family Archives. Decades after his last game in 1976, Darrell K Royal remains “The Coach,” the winningest football coach in University of Texas history. 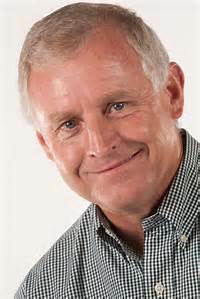 Royal is still revered as “a coach who would rather lose a game than engage in unsportsmanlike tactics; who would neither make excuses for losing nor brag about winning..." in the words of the City of Austin’s “Darrell Royal Day” proclamation. DKR offers an intimate, insider’s view of the private life of the man behind the legend through an extraordinary collection of never-before-published photographs, letters, newspaper clippings, football ephemera, recollections, and “Royalisms” lovingly preserved by Edith, Royal’s wife of more than sixty-five years. Limited Edition, Signed by Coach Royal and Edith Royal, October 2012. $250.00. Sold by the Texas Exes. 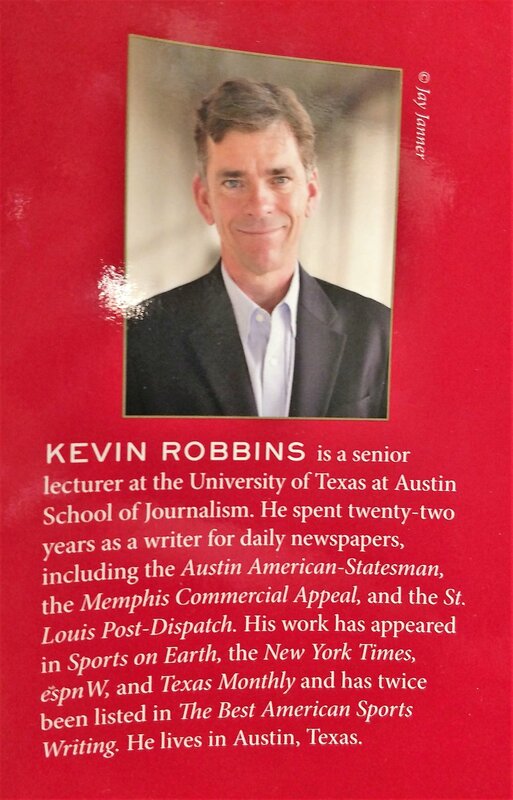 Royalties go to “Friends of DKR 40 Acres Scholarship”. The University of Texas was legislated to be great. The 1876 Constitution of the State of Texas directed the legislature to establish a "University of the first class…styled 'The University of Texas'." That same legislature made the Agricultural and Mechanical college [Texas A&M] a branch of The University (then called the "Main University"). Those are only two of the 100 Things a true Longhorn fan must commit to memory. From the history of The University to the details of our four national championships, "100 Things" is the ultimate bucket list of what’s important about the Horns. "Without question, "100 THINGS" is THE definitive guide to acquiring the TRUE HEART, SOUL, and MIND of a great LONGHORNS FAN." 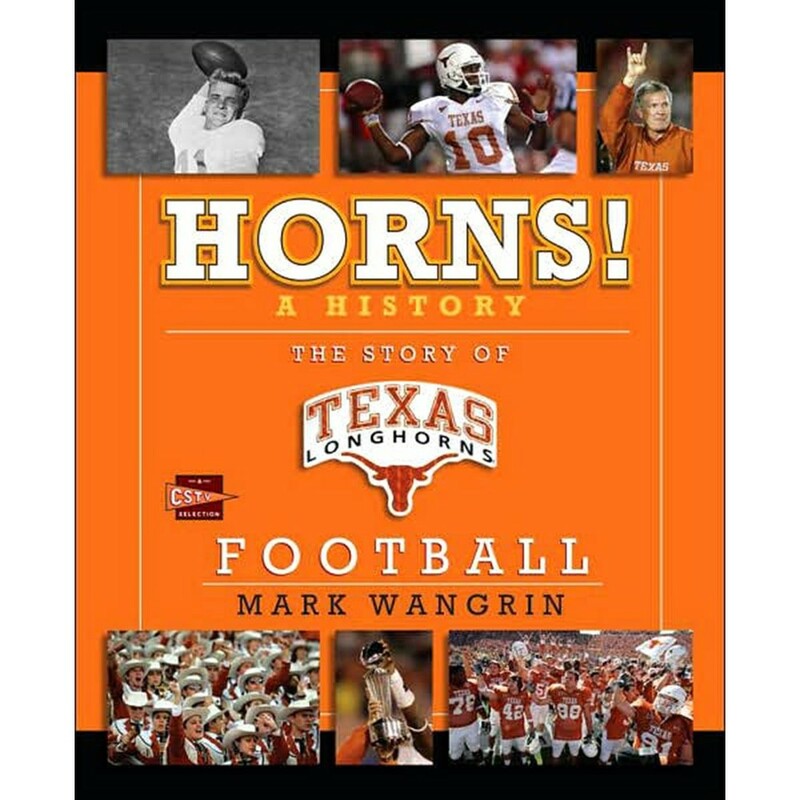 Forewords by Darrell K Royal and Mack Brown set the tone for this unprecedented collection of stories, thoughts, and memories of some of Texas' best football players. There is a common thread that runs through all of the stories. In choosing Texas, each of these "boys" had the courage to challenge himself to compete with the best and against the best. To a man, they were challenged and changed forever by this tradition, this place, this "University of the first class." From Howard Terry, who played in the 30s, to Earl Campbell, UT’s first Heisman Trophy winner, to Vince Young, commander of the 2005 National Championship team, these men tell compelling stories of the spirit of Texas, the expectations of excellence, the pride of having worn the burnt orange and white.